A Dartmouth, N.S., funeral director has traded in his traditional funeral home for a bare-bones office in an industrial park strip mall and is offering low-cost services — to the dismay of his competitors. 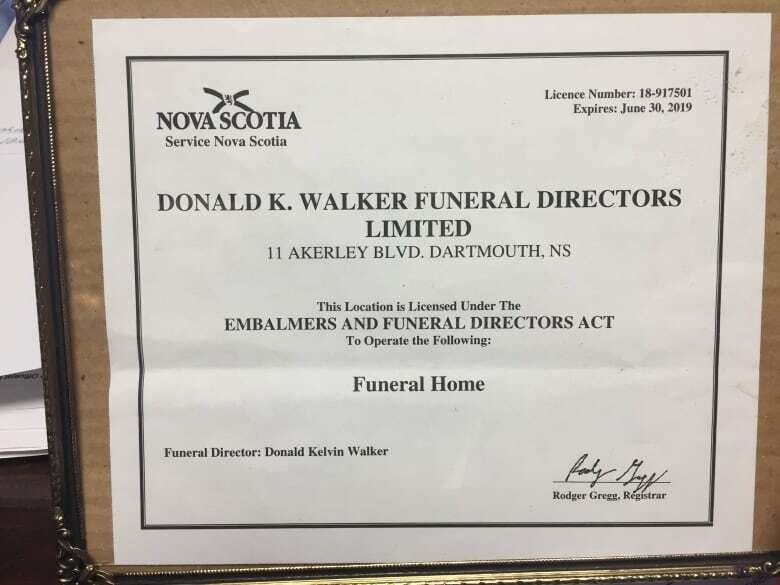 They're upset the government has issued Donald K. Walker Funeral Directors Ltd. a licence in violation of its own regulations, which forbid funeral homes from being attached to anything but a residence, monument display room or flower shop. It's a "bureaucratic decision that will shake the very foundation of the funeral profession," Alan MacLeod, president of the Funeral Service Association of Nova Scotia, said in an October letter to Service Nova Scotia Minister Geoff MacLellan. The Nova Scotia government said in an email to CBC News it received the application from Donald K. Walker and conducted a pre-licensing inspection of his operations. Walker was issued a transitional licence as the province reviews the regulations governing funeral homes and the licence status will be revisited pending the results of that review, according to the government. The province has also issued a discussion paper about removing the rule dealing with what other businesses can be attached to a funeral home. The funeral home director at the middle of the controversy, Donald Walker, said times have changed and he's simply giving the public what it wants. His storefront is located at the end of a Burnside Industrial Park strip mall that houses a printing company, and is adjacent to a cleaning business that restores buildings after fires, water damage and suicides. Walker used to have a stand alone traditional funeral home, but said it was wasted space that was used only occasionally for the traditional embalming, visitation and funeral. He doesn't bring bodies to the Burnside location, but does arrange body removal, transportation and embalming, which he contracts out. He said his costs are much lower and he's able to pass along those savings to families. "This is consumer driven," Walker said. "They want a reasonable price to look after their family, to make sure they have the right way of celebrating their life. This gives them an opportunity without going to great expense to do that." The funeral home association is concerned about the effect on both the profession and consumers. MacLeod said funeral home owners have invested heavily in their facilities, and the move will "degrade the profession and will allow individuals to 'parachute' into communities to provide substandard services to the consumer." John Greene, who owns and operates a funeral home in Port Hawkesbury, N.S., has also written the minister saying he's concerned the government is "going to turn what was once a noble profession into a body disposition service." He points out minimum requirements set out by government are supposed to create level playing fields for all funeral operators and are designed to protect the consumer. Walker's storefront consists of an entrance area, as well as a meeting room displaying urns and a visitation room, although the province has told him he is not permitted to allow visitations there. He said he's the only funeral home in Nova Scotia that advertises its price and what's included. He dismissed the claim that such operations will result in a loss of dignity for the dead. "The dignity is how the family wants to celebrate the person's life, not how some funeral directors pretend the dignity is coming to my chapel and putting on a service that doesn't suit the person's that's died," he said. In its discussion paper, Service Nova Scotia says remains are transferred from place of death directly to the licensed crematorium, but some funeral directors dispute that statement. Greene said his company takes the deceased back to the funeral home for proper identification and until they've made the arrangements and been authorized by the family to cremate the remains. "If you're not bringing the remains physically into the building, what I fear is that you're going to lose that chain of custody, and our profession's already been down that road recently and I don't think we should retravel it," he said, referencing the situation last year when the Serenity Funeral Home in Berwick mixed up remains and cremated the wrong person. The province said Service Nova Scotia was making reference to what takes place in other jurisdictions where funeral homes are allowed to operate out of a storefront. Getting the death certificate approved by the medical examiner and obtaining permission to cremate can take a day or more, according to some funeral directors, although Walker said his experience is that it takes only hours. Both the province and Walker point out all other provinces allow storefront funeral homes. 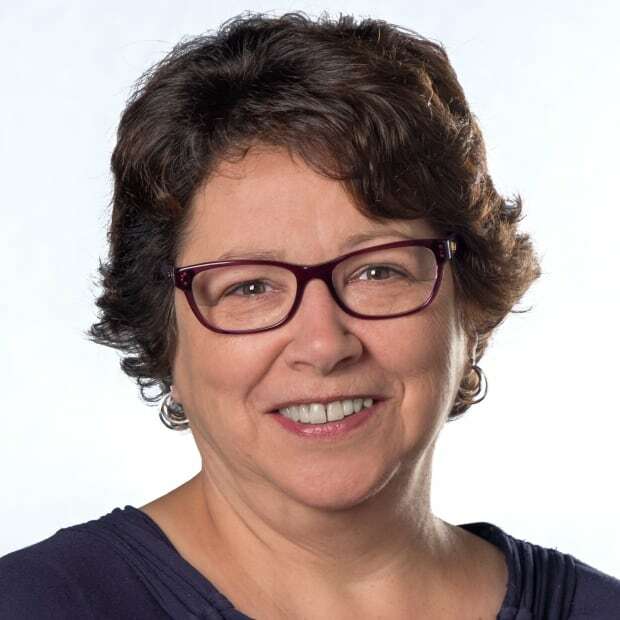 In Ontario, such operations have been in place since approximately 2012, according to Carey Smith, the CEO and registrar of the Bereavement Authority of Ontario. He said approximately 50 of the 650 funeral homes in Ontario are storefront operations. "There have been no complaints, no problems," Smith said. One storefront is sandwiched between a wine store and a tanning salon. Smith said there are no restrictions on bodies being brought to those operations, although most use another facility off site for embalming. As for concerns about bodies being brought in the front door, he said funeral home operators are professional and discreet and use the back door. He calls storefront the "Uberization of the funeral industry," noting the days of full-sized funerals have gone by the wayside and funeral home owners need to adjust to changing consumer demands. The Nova Scotia government says 78 percent of Nova Scotians are now opting for cremation.